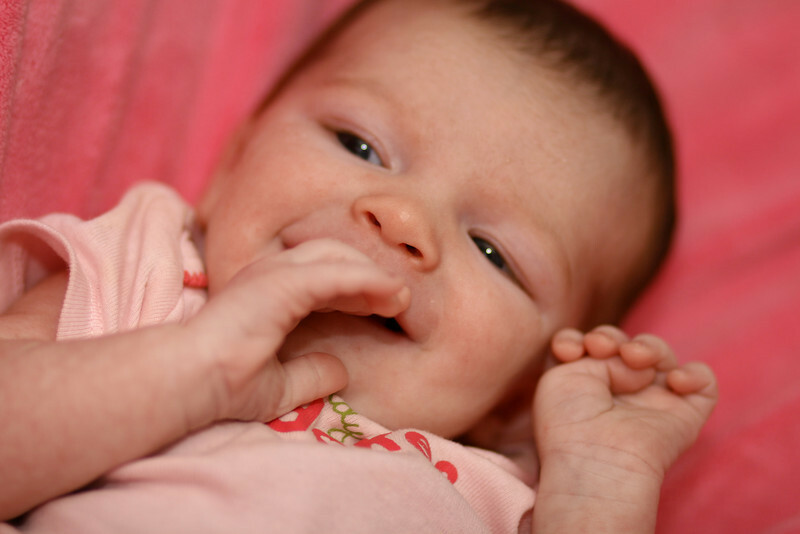 November 11, 2010: Yesterday, I went to hang out with a friend and see her beautiful 5 week old baby Sydney. Of course I had my camera and took photos of her. Here is one of her smiling.